Next Session begins Tuesday, April 23, 2019 at 1 PM. This is a 5 Session class ( please note that class will run from 1:00 to 4:00 for the last four sessions. )for anyone interested in the art of quilting. The class will cover fabric selection and quality, tools used in quilting today, use of rulers and rotary cutters and construction. You will make a lap sized quilt to learn how to make two different kinds of blocks, two different ways to make borders and how to put it all together. 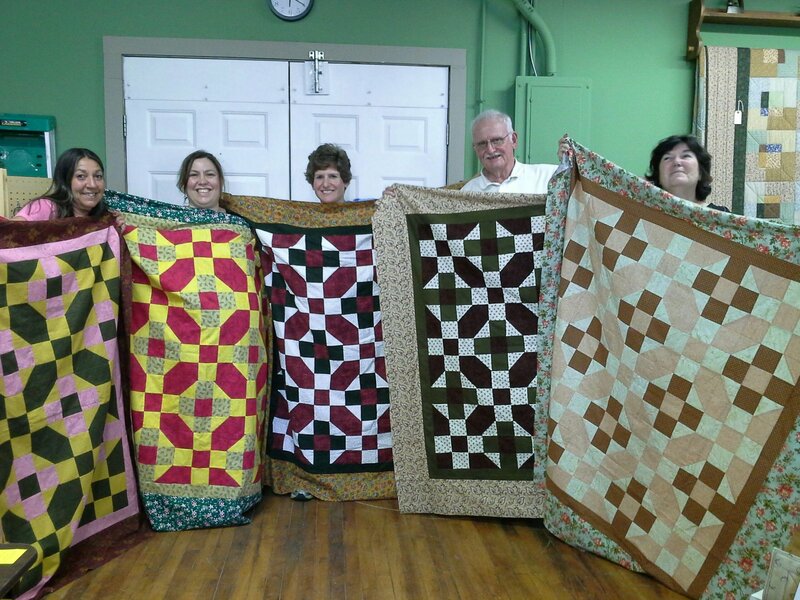 In addition, you will get a FREE binding class to be used after your quilt is quilted. Come see the class sample at the Quilt Shop. This is NOT a learn to sew class and you will need to have a sewing machine and be able to operate it. Sewing machine in good working order, quilting supplies-, thread, flower head pins, scissors, 9" or 12" square ruler ( won't need until the 3rd class), plastic zip lock bags, seam ripper. We have a great package for new quilters only. A 18"x24" cutting mat, rotary cutter and 6"x24" ruler for a special beginning quilting class price . Ask for details when you sign up. This package will give you significant savings ! Fabric for the quilt will be chosen during the first class. You must be familiar with the operation of your sewing machine!